Long time no write. Shysterball had an interesting post on meta-blogging and how he has been sustainable writing multiable post a day while others have burnt out. Which he linked from Andrew Sullivan– talk about a viral meme! He attributes it to how he blogs. More like writing an email than an article. I find this instructive as my past post have felt more like writing a paper for my poltical science class than writing a friendly circumspection. Maybe that is why I haven’t updated in a matter of months. I wanted to discuss the petering out of genius those that peak creatively in the early parts of their lives like Orson Wells, Mozart, Mellville and such. The origin of the idea comes (of course) from New Yorker article I read this week titled Late Bloomers. David Galenson, a prominant economist, broke down the genius into two categories – conceptual and experimental genius. The conceptual have a clear synthesized idea in mind and thus peak early. The experimentalist have imprecise goals, learn from trial and error, and thus peak late. What I can’t get out of my head the mechanism for the conceptual learners peaking early. This is certaintly a well documented phenomenon. Orson Wells never made a movie of comparable weight to Citizen Kane, Einstein published special relativity at age 26, Picasso’s paintings made in his 20s sold for an average of four times greater than those done in his thirty’s. But the question remains why peak at all if one has a clear coneptual understanding of a finsihed product and can complete it with such ease?Perhaps the most fruitful path of the conceptual creative type is to dabble rather than focus on one area. Da Vinchi, a name synonymous with Genius, was a dilettante having prolific contributions to diverse fields throughout his lifetime from painting to anatomy to inventing to writing epynonymous best sellers. What all the above early peaked examples have in common is an obsession with one type of study, medium or idea. 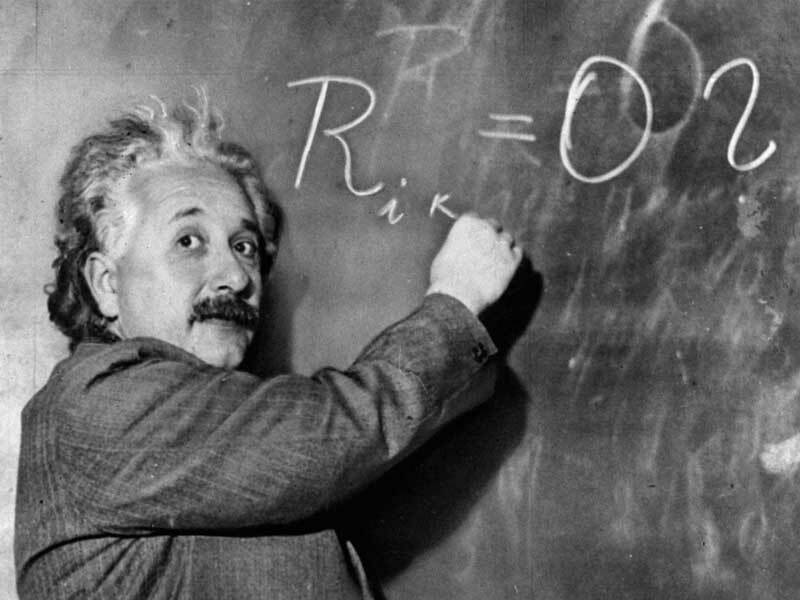 Einstein dedicated his whole life to the unification of physical forces, but ultimately failed. With the rise of quantum physics, his role in the inner circle of physics became increasingly marginalized. Oppenheimer noted that upon meeting Einstein in the 1950s, he found him out of touch and deigned that his time had passed. I was doing some more thinking about the supposed decaying state of the novel and came across this piece in Granata magazine.It got me thinking that the dwindling number of readers is not a phenomenon specific to the novel. The nicheification of culture is a well oberserved byproduct of the internet’s accessibility to information. The new business model – the long tail phenomenon a tern coined by Chris Anderson in his eponymous book– relies on the sale of a large number of unique items in relatively small quantities instead of one of two blockbusters to carry a business. The days have likely passed when an album could sell like Thriller, or a TV show could accrue nelson ratings like Seinfeld. But in my opinion this is not unequivocally a bad thing. It makes for more of a meritocracy as opposed to the old corporate oligarchy. The long tail phenomenon though should not be unique to the number of works within one domain but should further translate to the number of unique domains. The Granata piece introduced an interesting idea for one potential new domain – a form of novel in which the words are no longer only literary symbols- “merely little freight containers of meaning, devoid of any importance on their own,” but to also pieces of visual art in their own right. He then related a story about fleeting beauty contained within the form of the words Zulu Romeo Foxtrot. I don’t expect future droves to memorize phrases like Zulu Romeo Foxtrot the way in the past they memorized Shakespearean sylloquies; I meagerly predict that the visual will be a spice some future authors will begin to sprinkle into their literature. The classic way of wielding words in only the symbolic dimension I believe was a product of the past’s limitated technology. I find it hard to believe that if the technology was available to the avantgard poet E.E. Cummings that he would be sticking to just adding extra periods for emphasis. I recall reading that Joyce wanted to use different colored inks instead of italics for emphasis in one of his novels but was discouraged by publishing costs (I could be mistaken though).These giants pushed the literary medium to its limits in their day – now it is time for a new generation to reach beyond literature. To all those bemoaning the apocolypse, linking dwindling book sales to cultural depravity – fear not. It is probably more accurate to say that the novel’s audience is fracturing rather than dwindeling. And while the audience of the classic novel is smaller, it is probably a more devoted, and appreciative group. I open with an except from N+1 magazine discussing the history of the novel’s social significance. In discussing the trajectory of the novel, the author frames the novel’s point of dispersion and social signficance as an american creation; he further asserts that the novel’ssignificance may have been overemphasized. I first off do not doubt the great tradition of the novel, a conduit for generations a great mind to exchange ideas. I more emphatically reject this notion that the tradition of great novels is somehow inextricably American. I personally associate great cars with the Japanese, great food with Italians, and great novels with the Russians. I’ll take a book full of Dostoyevsky, Tolstoy, and Nobokov over Hemmingway, Fitzgerald, and Steinbeck any day – and this is coming from an American. America is still young for social movements. The tradcindentalists of the 1860s are known as the first purely American literary movement. The novel was alive and thriving (thank you very much) when Walden pond was nothing more than a ponderous pond. Sure America has had a fruitful tradiation of novelist from Thoreau and Emmerson, through Hemmingway and Fitzgerald, up to Pynchon and Roth. I still contest that America is but a blip in the history of the novel and believe that nationalism distorts our objectivity in evaluating our own significance. Of course, it is more likely that an American could name five Hemmingway novels before they could even name the country of The Ramayana’s origin, but then againit is more likely that an American could name five battles from the civil war before they could name any of the two countries involved in the Boxer Revolution. This does not prove that Hemmingway is a better novelist than the Ramanaya’s any more than it proves that American history is greater and more important than Russo-Japanese relations. American knowledge of an event is not a fair litmus test of its “greatness”. Countries in many ways tend to distort (whether intentionally or unintentionally) their own significance to their citizens. In high school, I was taught two full years of America history but only one dealing with the rest of the world. I do not think this was an anomoly and is probably representative of the vast majority of history cirrculums across US highschools. The American education system’s overepresentation of itself is perhaps one among a slew of other factors that leads the general American population to have a much greater knowledge of American history than hisotircal knowledge of the rest of world combined. So, the fact that so many Americans wax poetic about the importance of the great (American) novel indicates more about our own country’s nationalism than any contribution that America has made to world literature.